Fourteen years ago, Parmigiani Fleurier co-founded the Fleurier Quality Foundation, which certifies the watchmaker's prestigious watches. 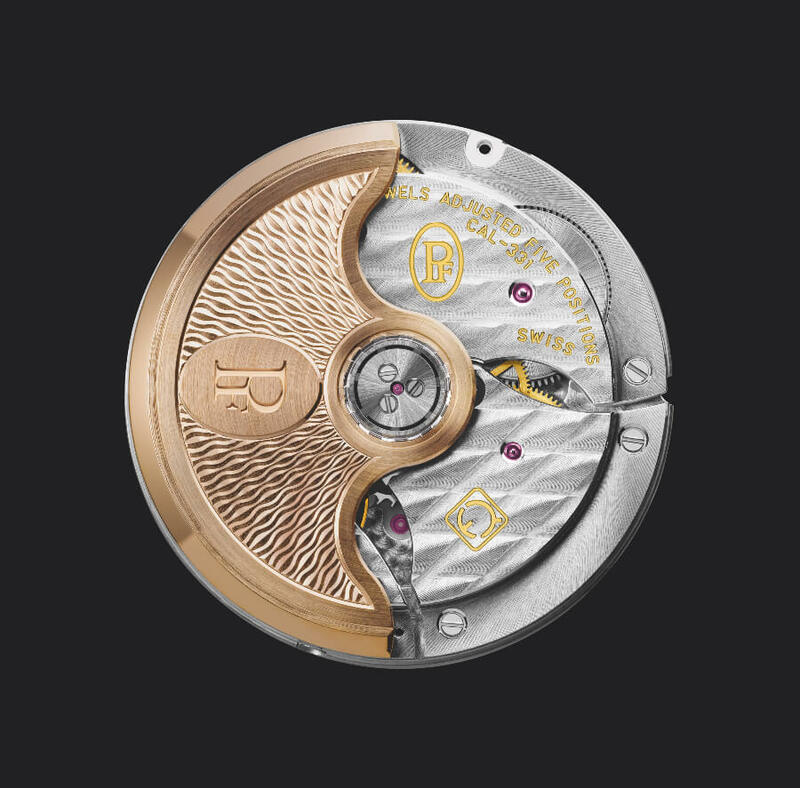 In 2018, the brand is paying tribute to the first watch created by Michel Parmigiani – the Toric – by successfully subjecting it to the five formidable stages of the Fleurier Quality certification, which tests the watch's movement, the reliability of its rate and also certifies the high-quality craftsmanship of every component. This is the first time that the Fleurier Quality stamp has adorned a Toric watch, constituting a symbolic accolade for Parmigiani Fleurier. 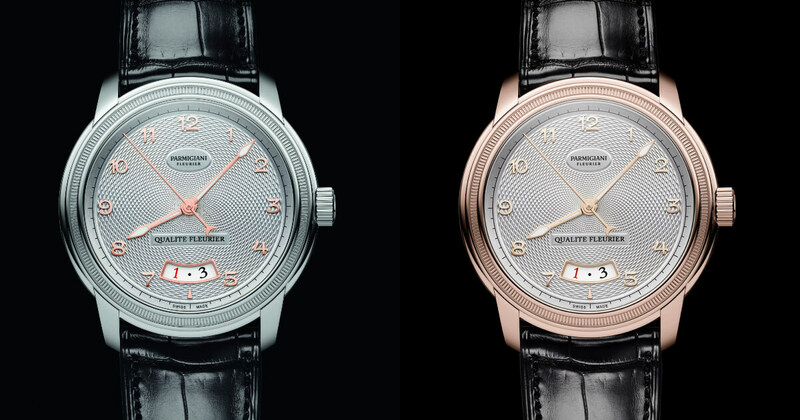 The Toric Qualité Fleurier bears the distinctive feature of all Toric models: a bezel formed of two gadroons alternating with knurling based on the harmonious proportions of the golden ratio. An artisan has created the knurling by hand on every Toric produced since 1997. This rare form of craftsmanship consists of manipulating the material with a wheel that leaves the imprint of its notches in the metal. 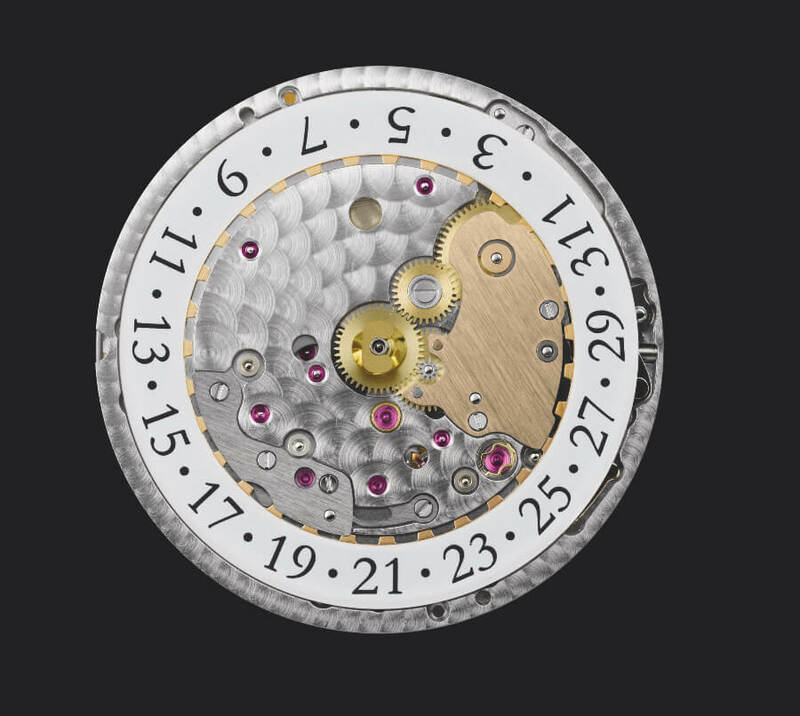 The bezel must be rotated somewhere between 100 and 1,000 times to obtain a perfectly knurled result. Every Toric case middle is unique, instantly showcasing the prestige of the Toric Qualité Fleurier. 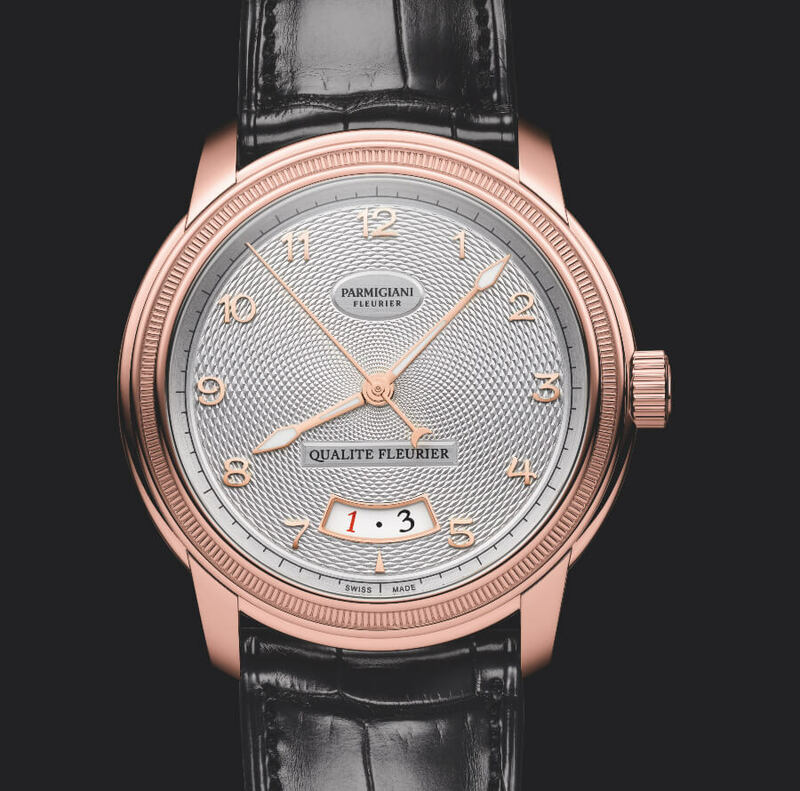 The dial of the Toric Qualité Fleurier calls on the ultimate dial-crafting skill: hand-guillochage. The surface of the dial is intricately decorated with a "rice grain" pattern that reveals captivating plays of light. Guided by an expert's hand, the guillochage gives the piece a shine unequalled by any numerically controlled machine that is instantly recognisable by the experienced observer. Each dial is therefore unique, just like the knurled bezel, and bears the special touch and sensitivity of the artisan who produced it. The Toric Qualité Fleurier is enhanced by solid gold appliques and javelin-shaped hands that elegantly mark the passing of time. The watch must be entirely designed, produced, assembled and tested in Switzerland, with each component accompanied by a certificate of origin. This criterion substantially exceeds the requirements of the widely used "Swiss Made" label, which can be met without meaningful testing provided 60% of the watch head has been produced in Switzerland. Onlytraditional materials, whether precious or innovative, may be used in the watch. Plastics are prohibited. These materials must be decorated in a way that reflects expertise and adds value. Each component is examined in detail by the Fleurier Quality Foundation to certify its level of craftsmanship and ensure that it does not compromise the watch's technical reliability. COSC (Contrôle Officiel Suisse des Chronomètres) is a neutral body that evaluates high-end movements using a programme of special tests involving changes in temperature and position over 16 days. Each movement is evaluated individually, and must demonstrate flawless timekeeping. The Chronofiable test is performed in an independent laboratory which evaluates the watch head's reliability when exposed to shocks, wear, water and magnetism. Watches undergo an ageing cycle equivalent to six months on the wrist, push and pull tests on the stem and push-pieces, magnetic field and water resistance tests, and a series of shocks on the pendulum impact tester. Once in its final configuration, the watch spends 24 hours in the "Fleuritest", the only machine of its kind in the watchmaking world. This computer-controlled simulator makes three-dimensional movements that mimic ordinary day-to-day activities – putting on a pullover, jogging, looking for something in a bag, etc. The Fleuritest measures the watch's timekeeping, with tolerances of between 0 and +5 seconds per day, making it one of the most demanding devices in existence. Michel Parmigiani is passionate about the Fleurier Quality certification. 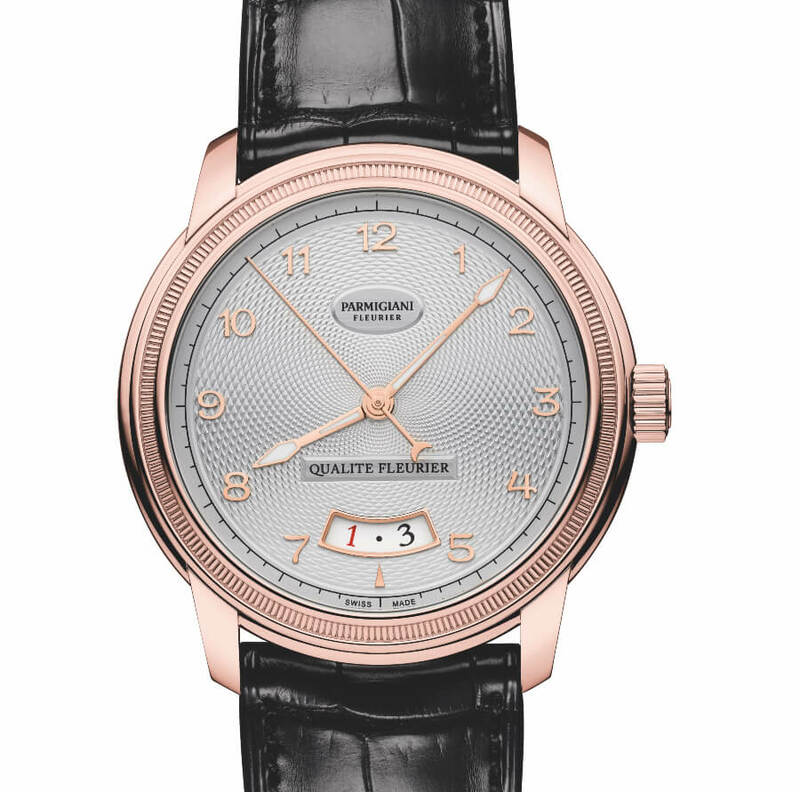 It represents a gold standard for quality and concerns all Parmigiani Fleurier watch collections, pushing the boundaries of excellence for each creation. 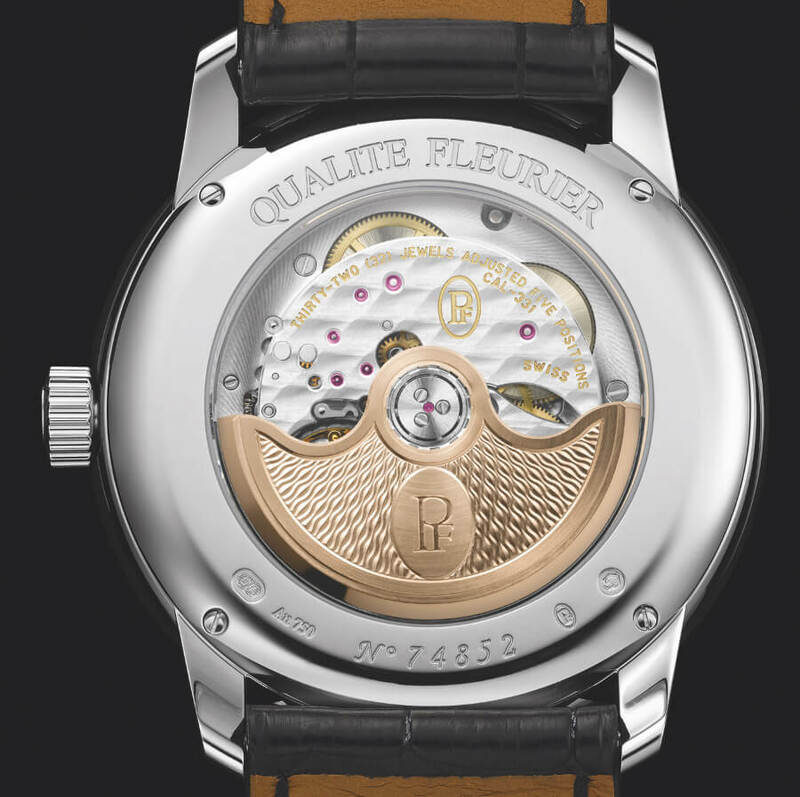 Case-back engraving: Individual number and "QUALITÉ FLEURIER"
The price for the Parmigiani Toric Qualité Fleurier is $40,400. 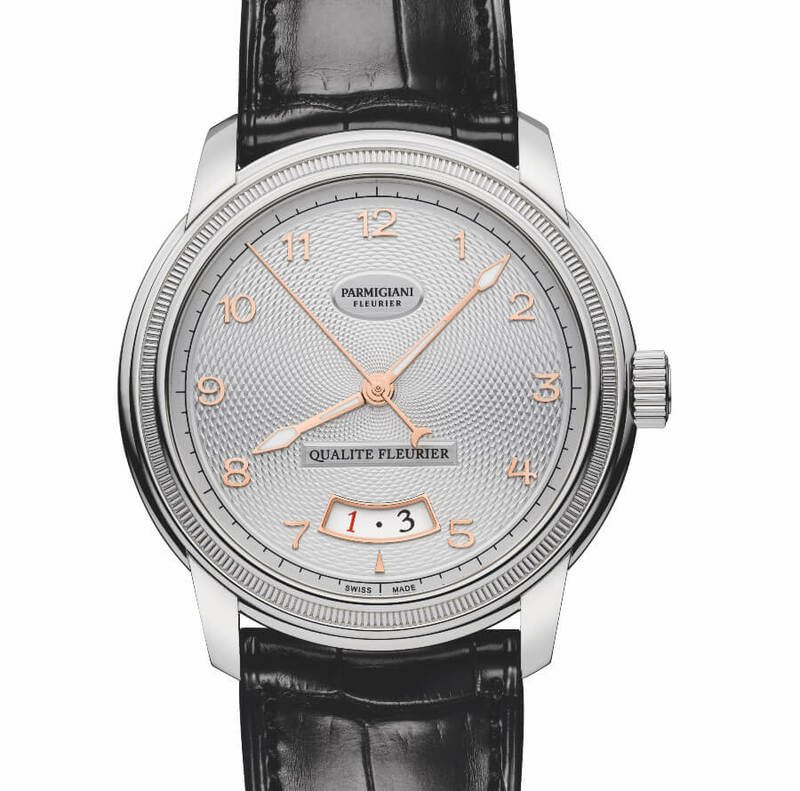 For more information visit Parmigiani Fleurier Online.